South Africa, despite the bad media attention, is a safe country provided one avoids notoriously high-crime areas, as all countries around the world have. It is always wise to be cautious and careful, and your travel agent will advise you when you are planning your South African holiday. Also, chat to us at Noorsveld Safaris about where and when you are planning to go in SA, and we will gladly guide you about safety precautions. Your safety is our highest priority. Can my family come along? Absolutely, yes. Depending on your children’s age(s) arrangements can be made to accommodate your family. If your spouse or companion wants to go with you to experience the thrill of the hunt and take pictures while you hunt, this is easily arranged. Is there a mosquito problem? Noorsveld Safaris and the larger Eastern Cape, Karoo area, is malaria-free. Although some insects (including non-malaria mosquitos) tend to be found on farms, they are not a nuisance. Feel free to bring insect repellent to put your mind at ease. South Africa’s tipping ranges between 10-15% at most places (restaurants etc.). In the hunting and safari industry, it’s the norm to give your professional hunter, tracker and the kitchen staff a tip. Gratuities are entirely up to the client’s discretion. What hunting methods are used? Walk and stalk hunting: Slowly walking with the sun on your back and the wind in your face while using the bush as your cover. 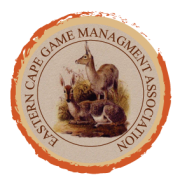 Spot and stalk hunting: Sitting down against a hillside while glassing the side of the mountain above and the riverbeds, Karoo plains or bush below. If animals are spotted, the stalk is planned and executed from there. Blind hunting: Normally involves the building of a blind and putting bait out close to the blind to attract animals. Different bait is used for different species and only a few species can be effectively hunted this way. What is the situation when an animal is wounded? The hunt will be stopped and focus turns to finding the injured animal to kill it quickly. Clients are liable to pay in full for wounded animals. Tracking dogs are used to find wounded animals with a 95% success rate. Please notify Noorsveld Safaris of any dietary preferences and requirements. We are proud of the delicious food prepared by us personally, assisted by kitchen staff and look forward to offering you a top-class and delicious variety of meals. Hunting starts at first light and therefore we have a light breakfast: coffee, rusks, toast, cheese and jams, yoghurt, fruit and orange juice before we leave. When we return back from the morning hunt we have a cooked meal. The meat on offer for meals is game meat, chicken, beef, lamb or pork. We also prepare seafood dishes. In the evening, you’ll enjoy an outside traditional South African “braai” (barbecue) over an open fire, consisting of the back straps, tender loins or fillet steaks from some of the animals that were hunted. Accompanying the braai meat is a selection of salads and vegetables, and homemade farm bread. The South African braai is an experience all on its own! What happens to the meat from the kill? The meat stays the property of Noorsveld Safaris or in some instances, the property of the landowners on whose land the animal has been hunted. The meat gets processed and sold at the Noorsveld Farm Stall. We use the prime cuts of some species to prepare tasty meals for our guests.